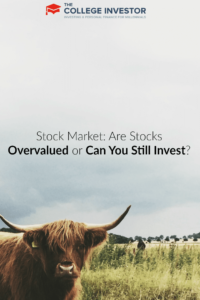 Home » Stock Market: Are Stocks Overvalued or Can You Still Invest? And they’re not wrong. It was only six years ago that we were in one of the worst recessions in history, coming off of one of the longest bull markets in history. So, the question is, will history repeat itself? Or even better, will history repeat itself sooner, or later? We’re believers that this is the start of a long-term bull market, but that doesn’t mean there won’t be hiccups and black swan events along the way. 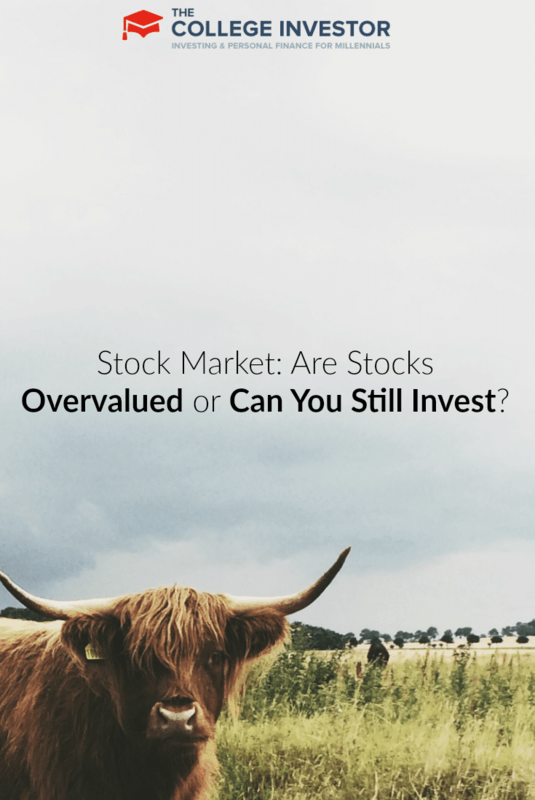 Let’s look at what some key indicators are saying about whether stocks are overvalued or not. What Is the S&P 500 Saying? First, take a look at the S&P 500. This is one of the more famous stock market indexes, which essentially tracks the share prices of the top 500 large-cap companies listed on the NYSE and NASDAQ. With YTD growth of roughly 24%, the stock market has performed well so far in 2013, but how long will this last? Investors seem to be very wary nowadays. You might hear people screaming that it’s a “bubble” from the back of the room, but is the stock market really in a bubble right now? Is now a good time to buy U.S. shares online? These are all important questions! Twitter (NYSE: TWTR) just went public and raised around $2 billion, with a market capitalization now sitting at around $20B. The successful IPO will likely inspire other tech startups to follow suit in the future, including Box, Square, and Airbnb. But Twitter isn’t profitable, and many other tech companies aren’t either. What’s more, the stock market is hovering around its all-time high. The answer is still no, though. The stock market is not in a bubble right now and here’s why. At the moment, the S&P 500 has a forward PE ratio of under 16. Historically, the index has sat at a PE ratio of around 14 to 16. What this means is that the current forward PE ratio is no more than 15% over what can be described as typical and has been hovering closer to 10% over. This environment can hardly be described as a bubble. Basing conclusions off single stocks is ridiculous, especially those of tech startups. Take a look around and you will see famous names in the stock market trading at relatively modest PE ratios. Apple (NASDAQ: AAPL), ExxonMobil (NYSE: XOM), and JPMorgan (NYSE: JPM) are among many others whose PE ratios are sitting comfortably under the S&P 500’s historical mean and median values for price/earnings. It is true for investors that finding viable stocks to invest in becomes slightly tougher, when PE ratios start to edge toward the upper-end. There is still gold out there, but the golden stocks are just going to be harder to find than usual. In all fairness, the actual PE ratio right now (rather than forward PE ratio) is around 18 to 19 and so at least some caution should be taken. While many fund managers have increased their equity holdings in the past 12 months, not everyone is as confident in equities. The value investor Wally Weitz’s billion-dollar value fund had almost 30% of its total assets in cash and bonds as of September 30th. He said that “right now [the market] is not giving us anything.” Some of Weitz’s peers agree, but there will always be conflicting opinions, with a select few being particularly extreme. Value investors search for intrinsically undervalued companies, usually whose future cash flows and/or assets are worth more than what the company is selling for. If you take this approach, you won’t really ever have to worry about what the overall market is saying, because your investment criteria will always remain the same. Even in the worst of times, there are still companies that get undeservedly low market prices. In mid-September, Citigroup sat on the other side of the fence with a prediction that the S&P 500 will reach 1,900 by the end of the next year. The market is unlikely to grow forever and corrections are made along the way, but as long as you take an investor’s mindset rather than one of a trader’s, you will be good to go. Very few people can time the market. Making an attempt to time the market is largely a waste of time and just another cause of stress. It is true that there is a time value to money and you would technically lose years of compounding returns from a major correction. Between 2007 and 2009, the S&P 500 fell over 50%. But not everyone held in for that long and many investors still made money throughout period, albeit less money than normal. You don’t even have to beat the market though; some people just want their capital grow at a faster rate than inflation. Others focus on dividend stocks and fixed-income investments with up to 40-year investment horizons and couldn’t care less about what their past year’s annual returns are in the grand scheme of things. That’s all that really needs to be said. However, if you are risk-averse and aren’t too comfortable with your investigative skills, you might want to consider buying into a conservative mutual fund; perhaps even a fund focused on fixed-income securities/bonds. For the long-term these can be great investments, with low minimum buy-ins and their ability to pool cash and make investments across various assets classes. With solid mutual funds, your returns could potentially suffer a little, but depending on your chosen fund you should be able to get some added safety. Peace of mind is also important. Are you bullish or bearish right now? Share your thoughts! I think we still have a few good years left. Most of our investment are in index funds, but we do have some individual stocks. My plan is to stick with our target asset allocation for now. Maybe in a couple of years, we might tilt toward a bit more bonds, but nothing drastic.